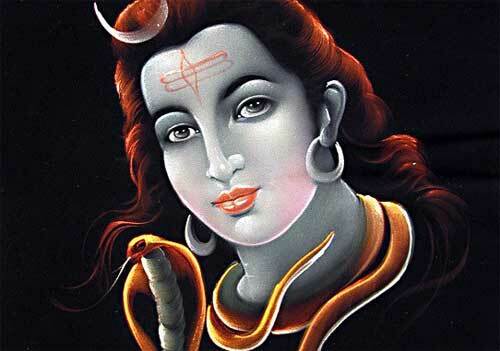 Kaleshwar is one among the numerous names of Hindu God Shiva. In the form of Kaleshwar, Shiva is Lord of arts – dance and music. It must be noted that Kaleshwara is different from Mahakala - the one with the power to annihilate all living and nonliving. As per Hindu tradition, inspired by the beauty of Goddess Parvati, Shiva created music and dance. The musical notes that made all the living beings dance, poured out from the mouth of Shiva. This was captured and taught by Rishis to their students; these students taught it to the next generation, finally it was written down for posterity. The dance expressions were created by Shiva to express various emotions clearly. All these were part of the divine love making of Shiva and Goddess Parvati. The most famous dancing form of Shiva is that of Nataraja. When Mahadev Shiva dances, he takes on the form of Nataraja, the Cosmic Dancer. In Hinduism, Nataraja represents the endless re-incarnation of the cosmic energy that revitalizes consciousness. When Shiva is the God of music and dance in Hinduism, the universe is conceived as a grand theater hall and Nataraj Shiva, its conductor throughout ageless infinity.